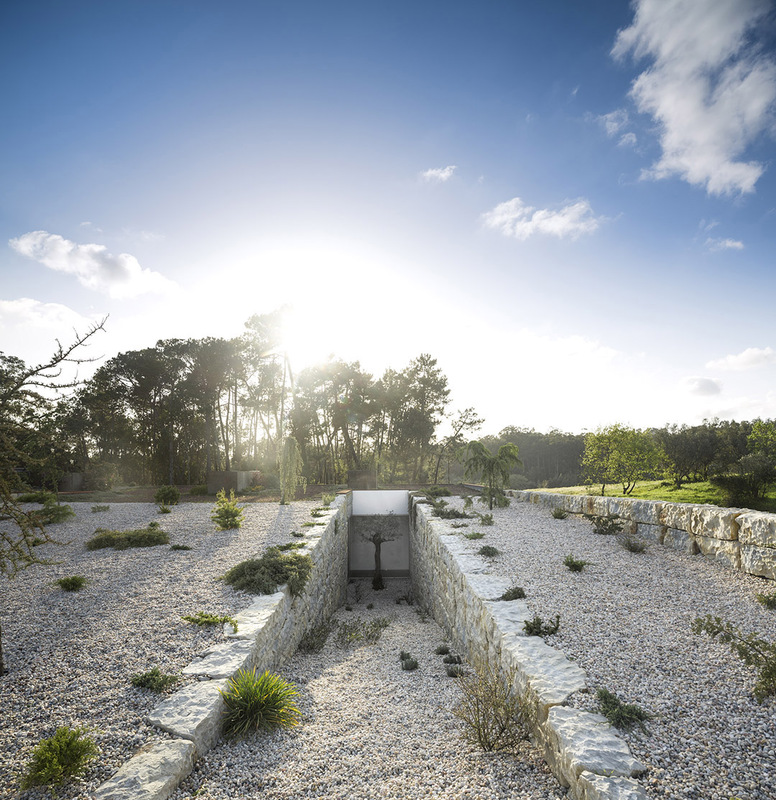 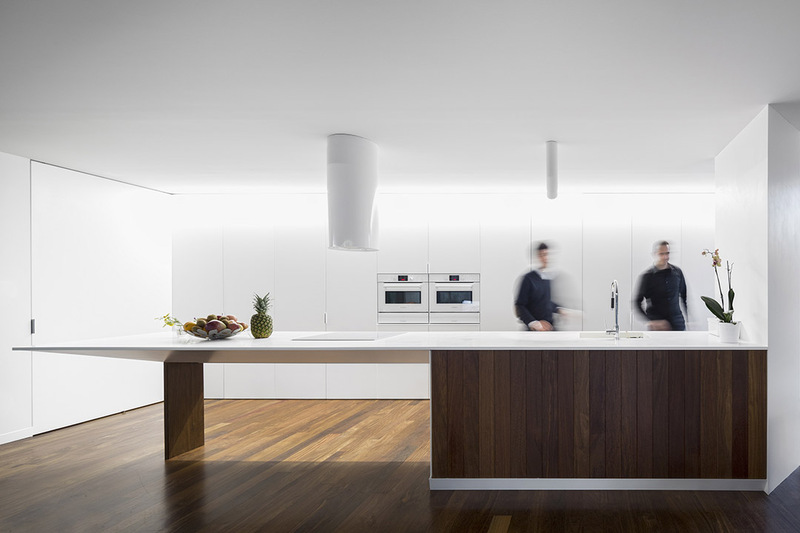 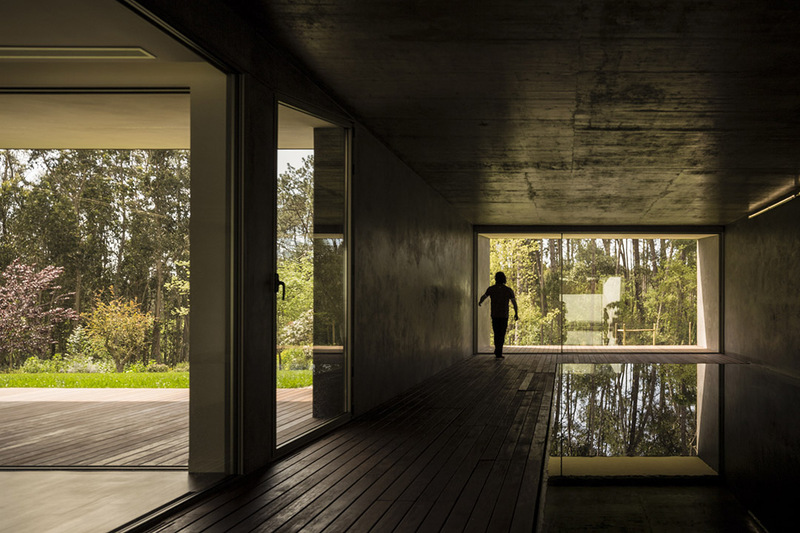 This house is a single-family dwelling located in Leiria, designed by Contaminar Arquitectos. 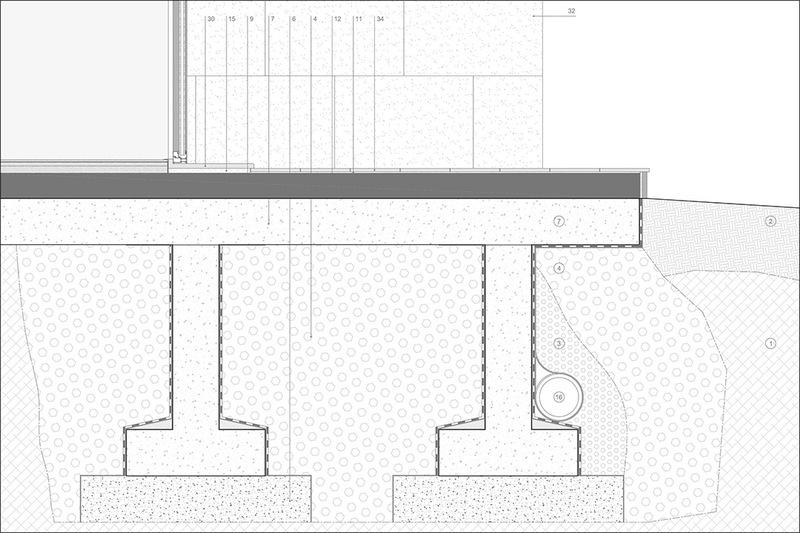 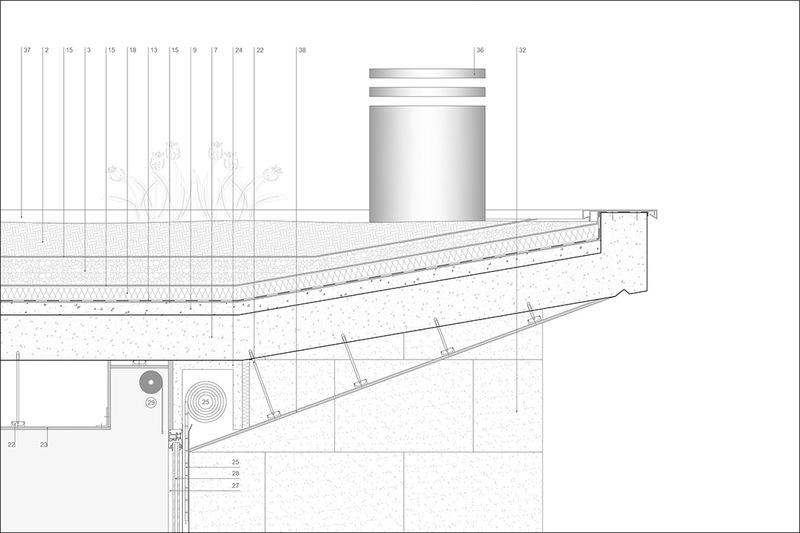 With a large area, it develops itself in a single storey, although its impact is reduced. 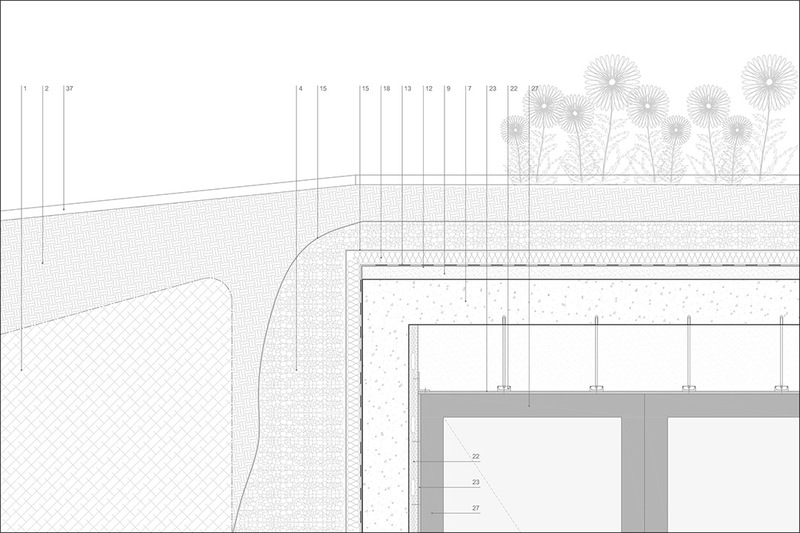 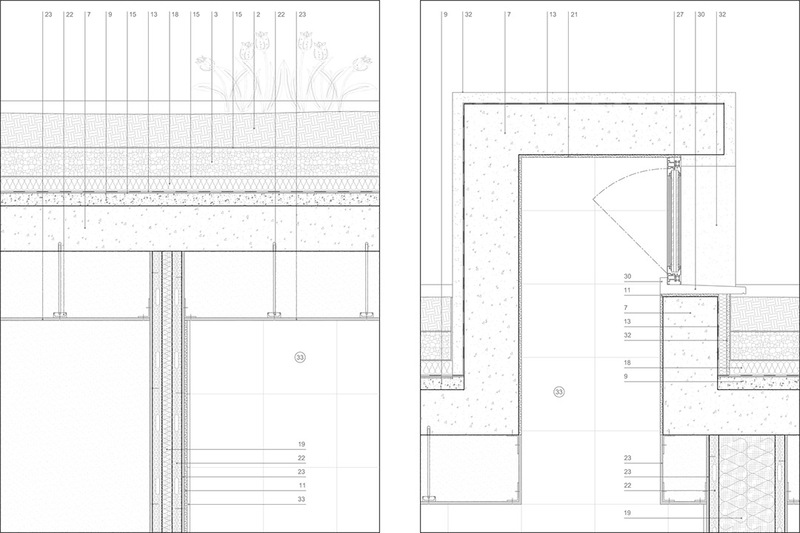 In the main access, on the East façade, we don’t perceive the existence of the House: an alternated game of ramps directs to the discrete entrance or to the green-roof, which make the House merge with the landscape. 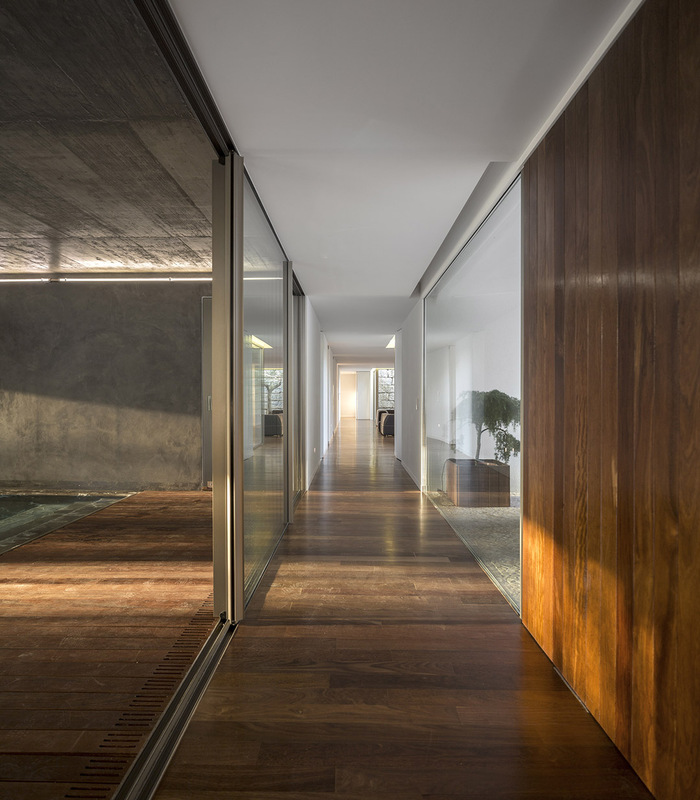 On these ramps, the floor and walls are covered with gravel and stone, making this part of the house more opaque and closed, retracted towards the main access route and the neighbourhood houses. 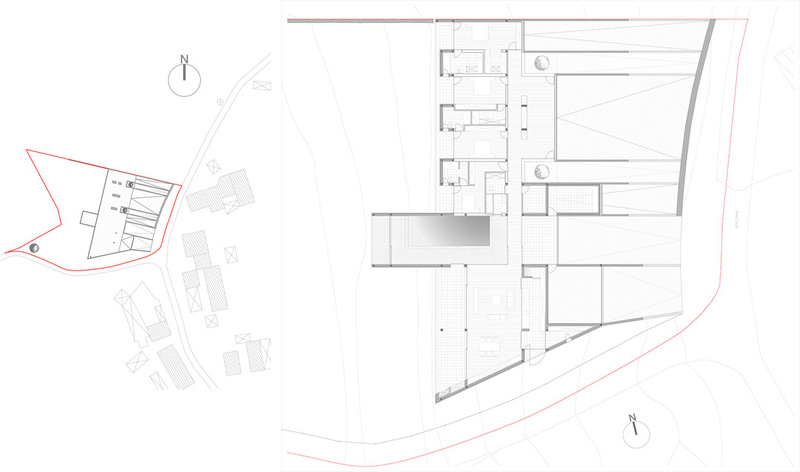 On the opposite façade, in the West, the geometry is more clear and the drawing more evident. 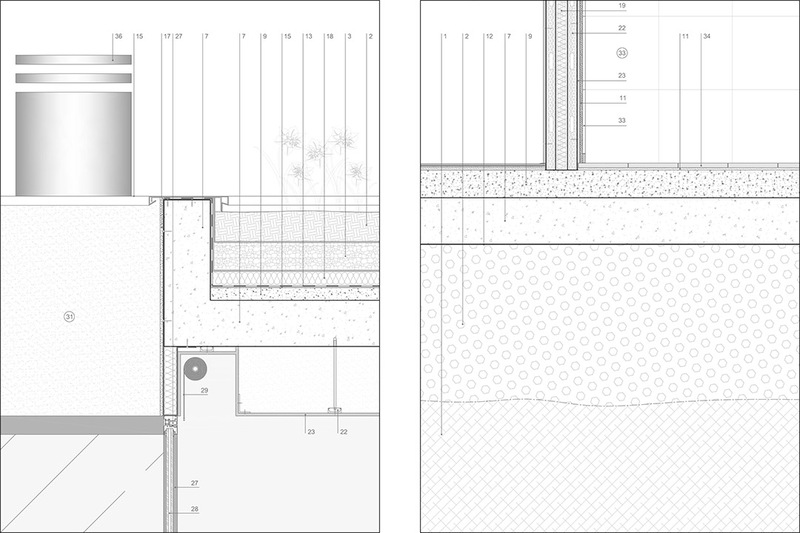 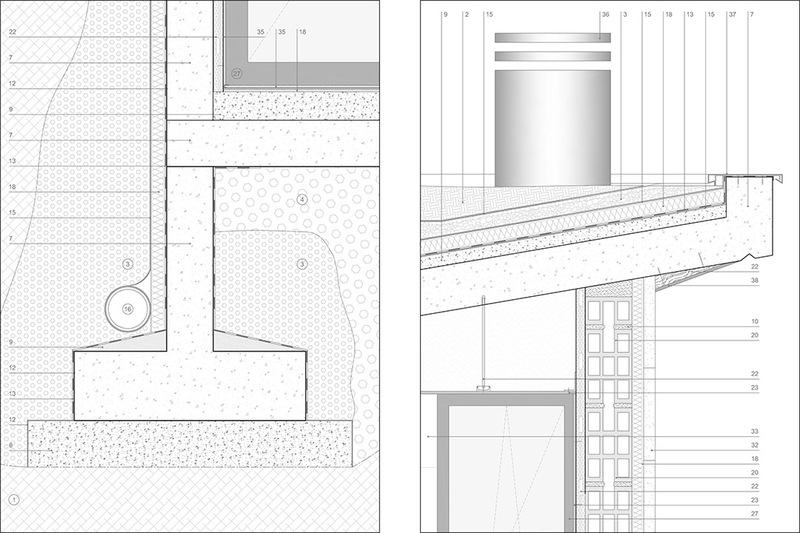 A sequence of voids and plain volumetries allowsthe inner organization of the private closed spaces (toilets, closet and wardrobes) conjugated with the openness of the rooms, slightly retracted, to the outside area. 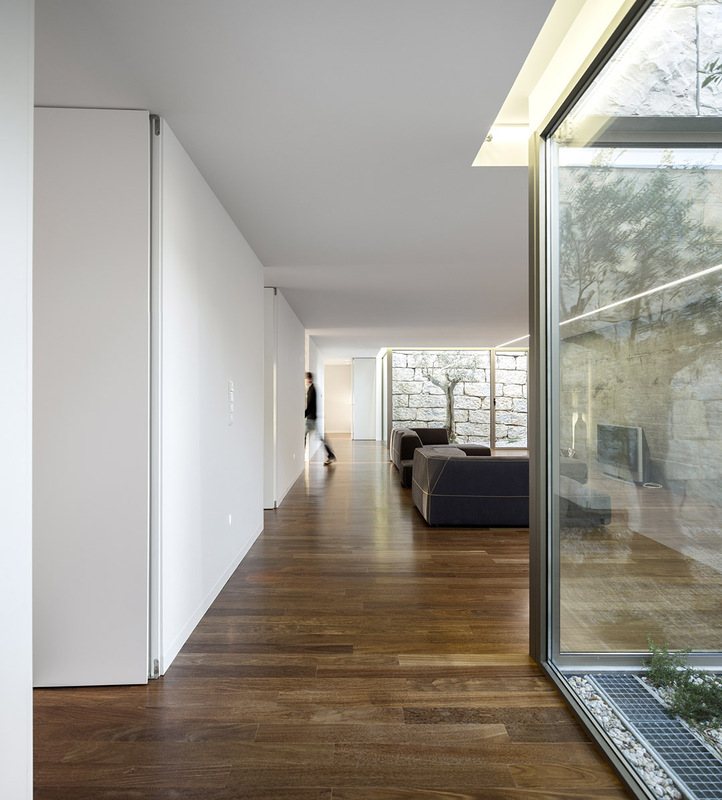 A central volume stands out in the façade as an axis that divides the living area from the more private area of the house. 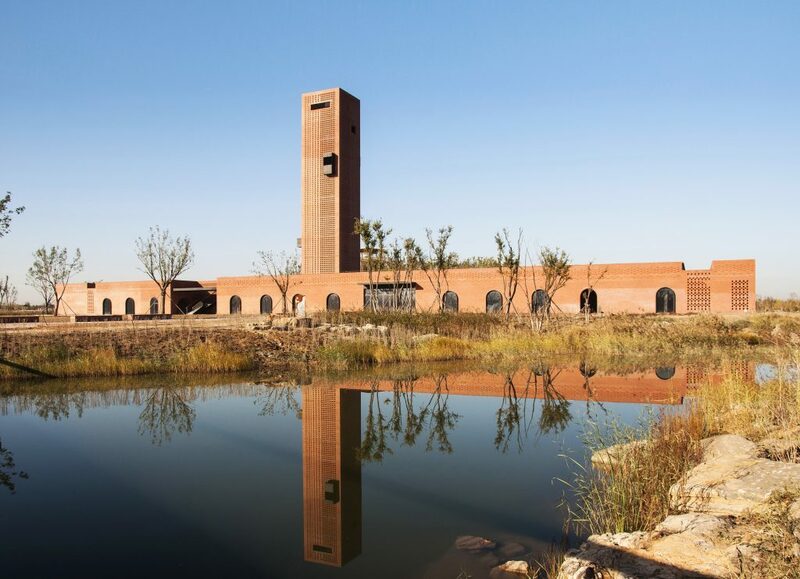 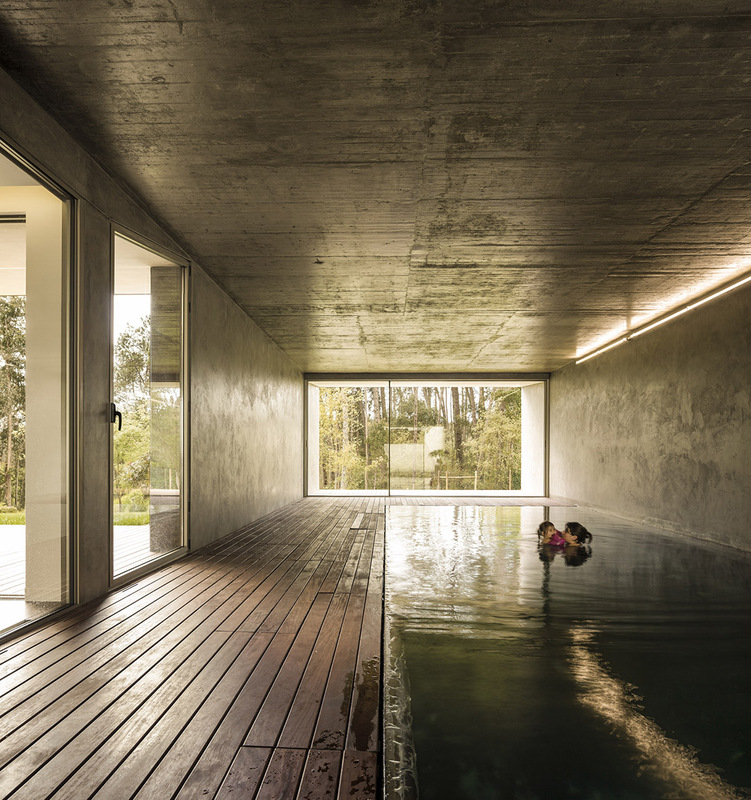 It contains a pool and its interior surface, in concrete, maintains a close relationship with the landscape: the shapes and the light coming from outside are reflected in the water of this rectangle, as in a mirror. 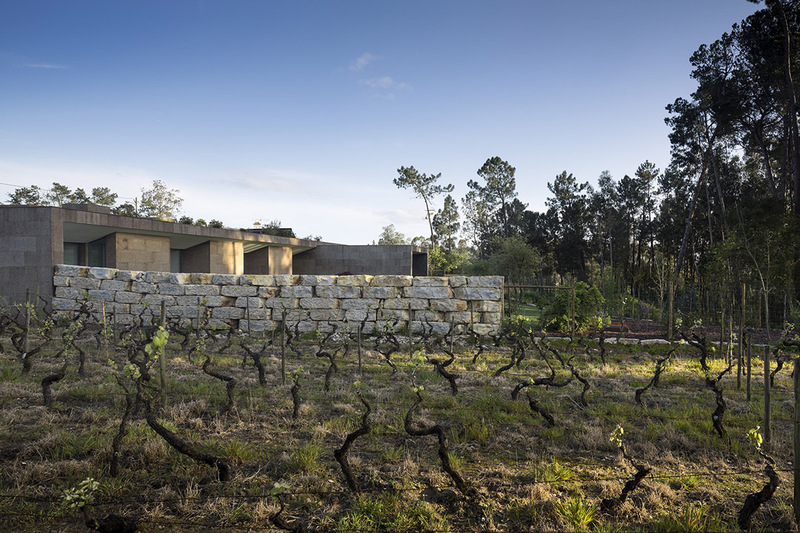 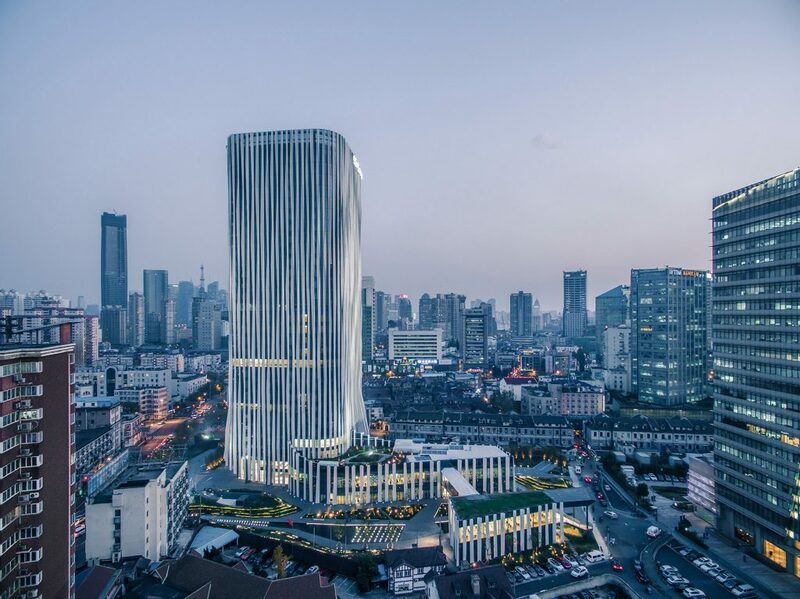 With a very strong image, a cork skin covers the entire North, South and Westexterior surfaces of the house, as if the volume were “contaminated” by the natural surroundings. 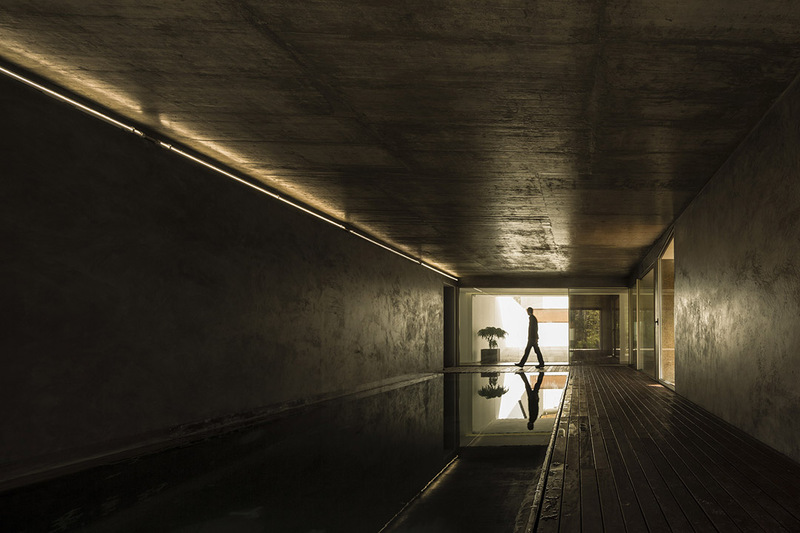 Beyond the effective thermal insulation provided for the concrete structure, the sensorial properties of this unique material make this architectural object pleasant to the touch, by the softness of its texture – the House becomes part of nature. 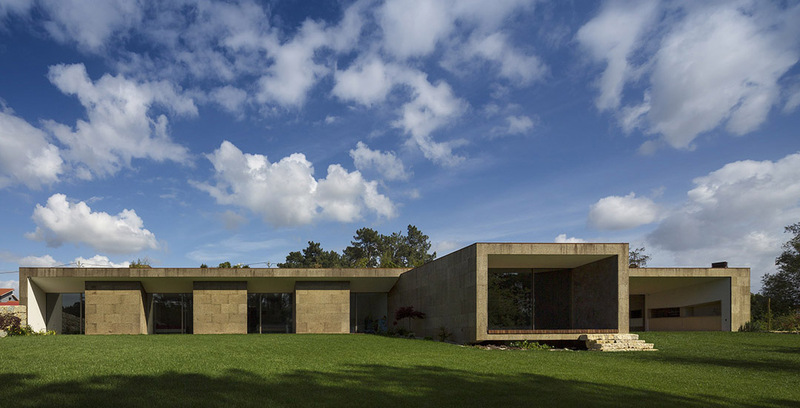 Its earth tone contrasts with the green of the grass and harmonizes with thesurrounding trees.